Excellent 'Purple Stig' How about a sticky? "You are who you pretend to be." One of the funniest books I've ever read. read it multiple times now and even the Mrs near wet herself reading it and that was before she got into F1. Mines the pre-stig edition though. Just checked my local library and they have this book now on hold for me....Looking forward to it. Just received notice that "Flatout and Flat Broke" is waiting in the library for me to pick up. Got some reading to do tonight.. Currently half way through this beast. Good book so far, would recommend for anyone like me who's knowledge on F1 in the 70's is sketchy. May have to go with "flat out or flat broke" after I finish this. Finished that a couple of weeks ago. Really enjoyable. Probably not Donaldson's best work, but it was entertaining none the less. Almost through "Flat out, Flat Broke" McCarthy's writing is as frantic as his driving, he just tries too hard. Got to put a funny line in to cap every situation. Some did have me laughing though. Guess back then if you weren't sure you were going home that night...or ever again... you might as well enjoy it. Always about money, isn't it? These days with drivers bringing in millions to get their drive. Maldinardo brought in, what, £45m for his seat..? He's just one though. There's about half dozen more paying for their rides. Prost vs Senna - Interesting enough, and an era I don't know much about as it was before my time. Manages to stay somewhat neutral. Working the Wheel (Martin Brundle) - Slightly odd, it's not a chronological book as such, it basically goes around the F1 calendar and tells stories abut each track. I found some of it a bit tedious, but on the whole interesting and entertaining enough. Winning isn't Enough (Sir Jackie Stewart) - Jesus christ this is the second most boring book I have ever read. There are some really interesting bits but the bulk of the first third or so is pretty damned boring. Actually the most interesting bit is after he retired and his work then. I'd not recommend this as I honestly only finished it because I had given a charity shop £8 for it and thought I might as well finish it. I lent it to my father and he agreed, it is bloody boring. Chequered Conflict - My current read for the train into work and on the way home. A slight formatting issue first, too many blank pages. Each chapter end is massively split for the previous by this and it seems like a waste. It is very interesting though. A lot of things I had forgotten or didn't know about 2007 are explained in detail and are very interesting. I know very little about the Prost Piquet Mansell stuff too, so calling back to it is generally quite pleasant. I don't particularly love or hate Senna, I just think the morbidity of books like that is often very interesting. I asked this in some other thread, but can someone post links to places where you could find a lot of books, and cheap. thanks once again. Any guesses as to who my favourite ever driver is? Last edited by garagetinkerer on Sat Apr 27, 2013 8:12 pm, edited 2 times in total. Of that list I've only read Mechanic's Tale, and i'd very much recommend it. It was different to most Formula One books I've read (I usually read biographies), but the journey is both entertaining and insightful. 4/5. - interesting narrative with both 1986 and 2007 running parallel to each other. Overall... without being harsh, it is at best 2.5 out of 5. I mean it is not a bad read, however, it is not a must read. There's no new information what so ever than what is already publicly available. if not for the twist with 1986, the book would rate lower quite certainly. The laziness in not reaching out to Alonso for statements is also glaring, when statements from Ron and McLaren have been devoted several pages. can someone please post links to a site where books could be had for a reasonable price. Is 2007 covered purely from a Mclaren angle or is there also plenty of focus given to Kimi and Massa? As i mentioned... the book is covering two years... and well, there are gaps. Erm, it concentrates a lot on McLaren, Ron, Lewis and Fernando... decent bit on the silent assassin Kimi... but not much on Massa. Is it worth 20-30 which it may cost as a new book? I'd not recommend that. I'd recommend buying a used copy for cheap. Even though i got a book in fairly new condition for $5, i was slightly disappointed, because it contained nothing new for me from 2007. However, it is worth it(as a cheap read, so if you think $5 is plenty, scour for cheaper still) for a unique presentation involving two different seasons. I own "The complete book of Formula One" (edition 2008), by Simon Arron & Mark Hughes. I believe this is the 2nd edition (the first was from 2003). Really nice book with lots of photos of all cars and drivers, listed with all results from 1950 until 2007. There is a short summary of each season too with beautiful pictures. Does anyone know if there will be a third edition (maybe 2013?) with up to date results? Has anybody read 'Schumacher' by the man himself? I wasn't aware he'd written a book and would love to read this on my flight to hols next week. Halfway through it... a lot of pictures. not as much to read as you would hope from such a book. Edit: Just remembered that James Allen did a good book on Michael... and go for the one by C Hilton (it is a good read). Last edited by garagetinkerer on Mon May 20, 2013 7:47 pm, edited 2 times in total. Can you give some more details about the Schumacher book by himself that you're reading? There was one that was originally only published in German after he retired in 2006 and I'm wondering if this is the translated version they finally brought out or another one (I'm assuming the former as that might explain how Stefano has become Stefani). The one to which I am referring starts off with a forward by him and is by him, Sabine Kehm and Michel Comte. As a read, there was simply more (in quantity) in one by C Hilton. You get the impression that the author doesn't like him, but is in proper awe of him. In the book by him (words by Sabine Kehm and pics by Michel Komte), you get a lot of background info, which is not covered by other journalists. Like when he celebrated with Mika in the karaoke bar at Suzuka (and vice-verse in 2000), after losing the WDC to him. The book by C Hilton, while good mentions that Michael couldn't bring himself to praise Mika in '98 (or was it '99, i'm not sure). The point is, you get to see Michael as he sees himself. It is not what i expected, but it is good. They have condensed the years too much. Imagine 1991 to 2002-03 compressed in 50 odd pages... i know! Then there are a lot of high resolution photographs if you like such. I bought it, and i have no qualms admitting, as i have yet to see a better racing driver. There were many, but he is the most dominant GP driver ever. I also have Quest for redemption by James Allen, who supposedly has done a great job with this book. I guess i'll find out soon enough. Ah OK. I got the original hardback when it was first published in German. I was learning German a bit at the time, but it was too advanced so I had a friend of mine read it to me - he used to come around once a week and sit with me while I tried to read it and help me through the bits I struggled (which was most of it) - like a parent with a child. Yes, agree with your assessment - we do get to see Michael through his own eyes and he's more genuine than I think a lot of people would expect. It was better than the other official one that was done by Sabine Kehm in 2003. The Hilton one gives, I agree, more of an overview and detail about the entirety of his career. Another good one is Michael Schumacher: Rise of a Genius, which is incredibly detailed. I was a bit disappointed with James Allen's The Edge of Greatness. It didn't really provide me with anything I didn't already know and I felt he went too hard trying to market it towards F1 fans who didn't really like Schumacher and took too much of a populist perspective. It was pleasant and easy to read as a novel, though. A short piece on every single race since the inception of the Formula One World Championship, all 878 races. Name a year and a race and you can read about the race. Also information on each championship, absolutely brilliant well written and laid out reference book. Sebastian Vettel - 4 x World Driving Champion!!! Definitely worth every penny and a lot lot more, highly recommended. garagetinkerer - I would highly advise "Edge of greatness" it delves deep into the mind and character of Schumi and is fairly balanced, I came away with a lot of views of Schumi I was ignorant to before reading it. They have a number of good sources, like Eddie Irvine and Ross Brawn who are relevant and honest enough. I may advise "Life Of Senna" it does not paint Ayrton as a saint as I discovered when he was dubbed as having a "selfish side" early in the book. 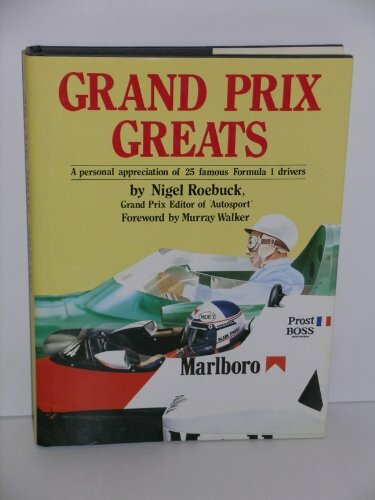 Although it is acknowledged that there is a theory about the Honda engines, not too much time is spent on it which may bug you and the author does rate Senna as a driver to be better than Prost which may nark you as it does read like my opinions at times. You may find some enjoyment as they cover Senna's actions in Japan 1990 with a fair slant, and do question his actions and explanations. The Warrick tales are covered, as is making up with Prost and a very deep insight into his lower formula battles with Martin Brundle and Eddie Jordan. There are relevant sources like Berger and people close to Senna's family so you get a look at Senna's personal life. His racing days are backed up with press quotes to what people thought at the time, so the rose tinted glasses effect does not come into play often. The author has a shady history as he has been sued for libel, but I think he does a sterling job on it. It is a bloody long read though, but it is dirt cheap these days. I'm currently halfway through 'Life of Senna' - the book IS huge but take out 100 or so pages at the end as it's just an overview of his results from karting to F1! It's a really good book - I probably do a chapter a night (just finished 1993) - it gives a really good insight into the man, both F1 Senna and private Senna - I've developed the opinon that Senna was a bit of a whinger though. 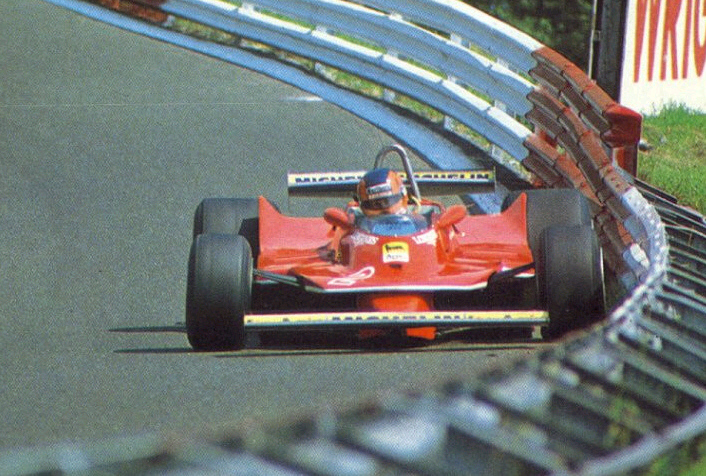 Call it desire to be the best or whatever - would he be as loved if he were driving in F1 today? I think not! I guess in the 80s/90s it was the norm though. I'm gonna start 'In The Name Of Glory' about Hunt and Lauda in 1976 next. Perfect read before Rush! Does anybody know of any good Chris Amon biographies? I will not critic Senna nor Prost in who was right in the Williams row, they both make decent points and I understand why both held their opinions. Of coarse, I favor Senna as I am firmly in the Senna camp, but I understand the argument either way. The Benetton getting favorable engine treatment over McLaren by the same supplier in Ford is one why I understand Senna's point of view. As if Ford wanted the World title they should have jumped threw hoops to give Senna and McLaren the best machinery, as in 1993 he was better than anyone else racing in a Ford car (even Schumi) and also McLaren had other resources to capitalize on the engines better than Benetton could. So I get why Senna was peeved, his immense talent was being restricted. This happens all the time as it is the essence of nature with F1 and life as a whole. But, I understand why he moaned so much during this period. Best F1 books I have ever read. Really gets you into a race weekend of the time. 2. The limit. Wolfgang was some one I new little about aslo Phil hill - a great read. 4. Cars at speed - brilliant stories. Was dissapointed when the book finished it was so good. 5. Shunt. Intersting to know what he was really about....women, fags and driving fast! I just received Ferrari Racecars: 1966-1983 by Coterie Press. Its a 9x9 inch, soft-cover inexpensive photography book. 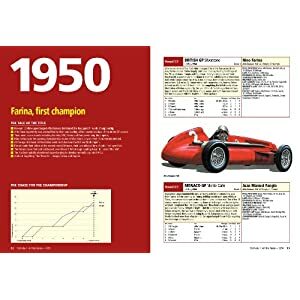 It has cool historic images from Formula 1 and World Championship Sportscar racing. 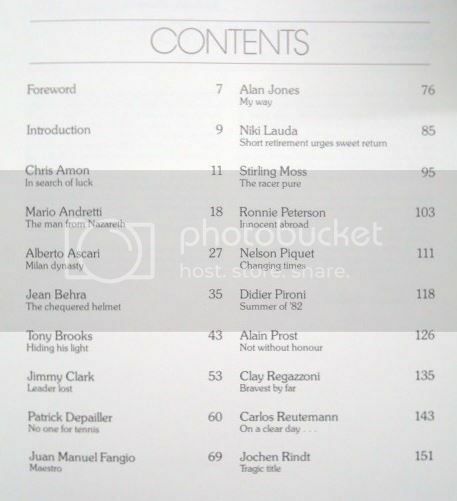 Images of Clay Regazzoni, Gilles Villeneuve, Pedro Rodriguez, Niki Lauda, Jacky Ickx, Mario Andretti among others. I enjoy reading the book because the captions actually describe the images with relevant racing information. I’ve read too many that are not that great. Also it’s a good starting price book for $29.95. I recommend 'Life at the Limit' by Graham Hill. Its typical Hill and his sense of humor comes across within the book. Also, 'From the Cockpit' by Bruce McLaren. Its interesting how Bruce started in racing. Each chapter discusses the history and some anecdotes about the driver in question. 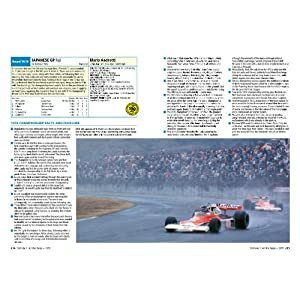 They include: Amon, Mario Andretti, Ascari, Behra, Clark, Depailler, Jones, Lauda, Moss, Peterson, Piquet, Pironi, Prost, Regazzoni, Reutemann, Rindt, Rosemeyer, Senna, Stewart, Gilles Villeneuve and more. A great book for anyone interested in a circa 1980's portrayal of some of the finest drivers in Grand Prix motor racing history. Just finished 'In The Name Of Glory' by Tom Rubython. A somewhat strange book - some interesting insights (which I doubt we'll see in Rush as too intricate to explain) but overall I couldn't wait to finish it. I was getting impatient toward the end. Up until now I always assumed that Hunt and Lauda hated each other but it was the complete opposite. The writing and structure of the book were good, but you just get the impression that Rubython tries too hard to put his own spin on certain events which I find unnecessary. When reviewing the qualifying sessions and races at each race, the facts are there for everyone, but when he starts assuming what Hunt or Lauda were thinking at that time without any evidence from the men themselves to back it up - it seems a tad far-fetched. He wrote another book called "Rush to Glory" and I'm not sure which one I should buy! A different, non-romantic view on F1, sexism and all...One of the take homes from this book is that many of those that get inside an F1 paddock seem quite happy to back stab their colleagues in order to stay there. If true, can we really blame Seb? Turner paints a not-so-friendly picture of many people inside the inward-looking world F1. I mean, what does Wesley Snipes look like anyway? A book by Di Spires called "I just made the tea". One of my favourite F1 books- very insightful and interesting, from a non-biased view.